Owning a lawn requires a certain degree of regular upkeep to keep it looking healthy and green. 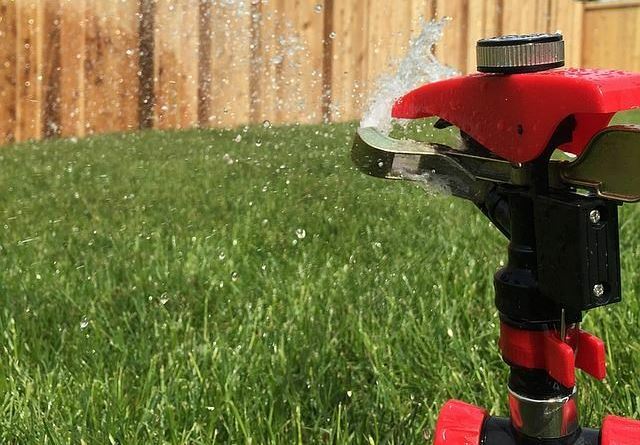 I learned quickly as a new homeowner that proper, regular watering and cutting truly does take care of the majority of your grass needs, but to ensure healthy roots and plant longevity, fertilizer is a crucial component. Depending on where you live and types of grasses you have planted, your lawn will have specific needs at different time of the year. Applying the correct fertilizer schedule for your lawn can take a green, grassy yard and turn it into a thick, carpeted area your whole family will enjoy. If this sounds a bit overwhelming, especially if you have ventured into the world of fertilizers and have been assaulted by the incredibly array of choices offered surrounding nutrient content, application processes, and seasonal mixes- no worries, as I’m here today to help break all this down so you can approach your lawn care with a bit more information. WHY DOES MY LAWN NEED TO BE FERTILIZED? Like all living things, your lawn requires food. 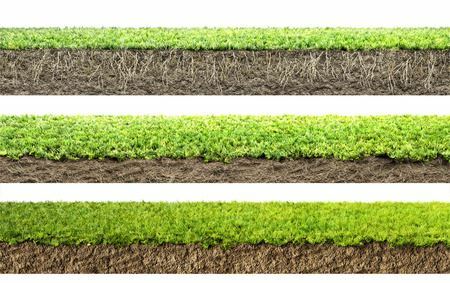 The roots of your grass take up the nutrients (vitamins and minerals) found within the soils as they come in contact with them and release them to the vegetation in order to grow. Each fall, as the temperatures begin to drop, the leafy part of your plant sends whatever nutrients it has gotten from the sun and stores it back into the roots for the following spring’s growth. Unfortunately plants generally use more nutrients than what are naturally available from both storage and soils to look as lush and healthy as you may want it to be. This is especially true of non native grasses that have been hybridized to basically be a living carpet for your yard. Therefore, applying fertilizer properly helps reintroduce essential nutrients back into the soils for your grass to utilize it in its growth. 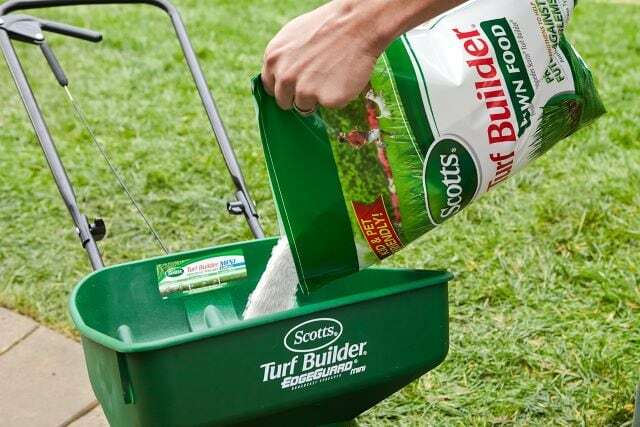 Lawn fertilizer is available in either a granular or liquid form which is what makes up the substrate within which the nutrients are held for release into your soils. 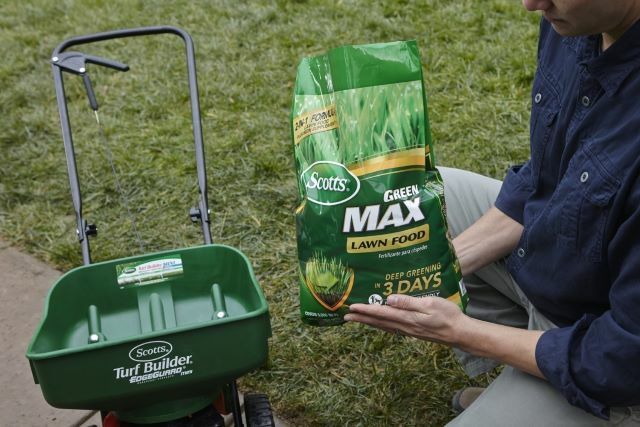 Basically, fertilizer is food for your lawn to help add additional nutrients for the plant use that may be missing from the soils, or are not in enough abundance to get the results you want. What types of grass do you have? Is it a cold season or warm season grass? What are the watering requirements? This isn’t difficult to figure out as there are many available online identification guides that explain the grasses and what their requirements are. In fact, many fertilizer companies have guides offered online as well to help you choose the best fertilizer for your specific lawn type. You also may want to take into account what type of soils you have. 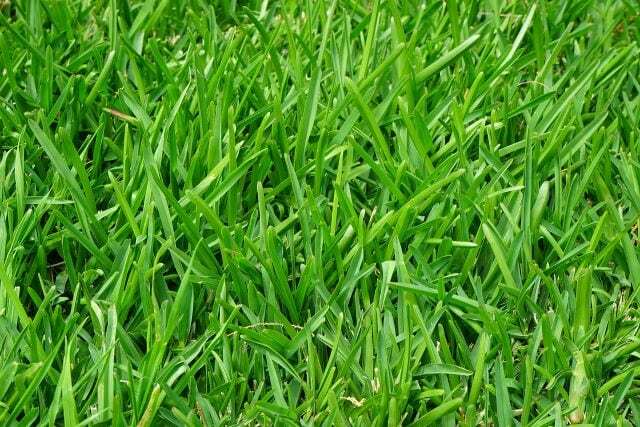 If you laid turf over caliche (a hard packed, nutrient deprived soil), then you will need to be providing the majority of nutrients to your grass to keep it growing until it begins to produce its own. This is also true of sandy soils that often leech, or allow nutrients to pass through quickly. The short of this is no, fertilizer, if stored correctly, truly doesn’t expire. Fertilizer should be stored in a cool, dry environment. Granular fertilizers will absorb moisture in humid conditions and form hard, rock like clumps, but as long as they haven’t been soaked and allowed to drain, then your nutrients haven’t been lost and all you have to do it break it up with a hammer. Liquid fertilizers will settle and will need to be shaken well before application, but will be just as good as if they were new. All plants need three primary nutrients in order to grow and thrive. These are nitrogen, phosphorus, and potassium. Nitrogen is associated with leafy, green growth and also helps protect heal against insect or disease attack. Phosphorus helps transfer energy from the roots to the leaves, and vise versa. It also helps promote additional root development, which is important since roots are what is needed to sustain healthy growth. Potassium helps with how water is used by the plant and determines how well it deals with stress. 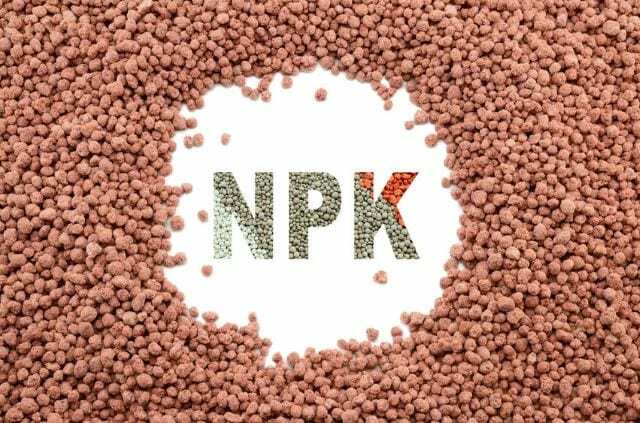 These nutrients are found in all fertilizers and are represented by the three numbers you often can find on the front of the fertilizer packaging. These numbers are the percentages of each nutrient found within the bag and are called the fertilizer grade. 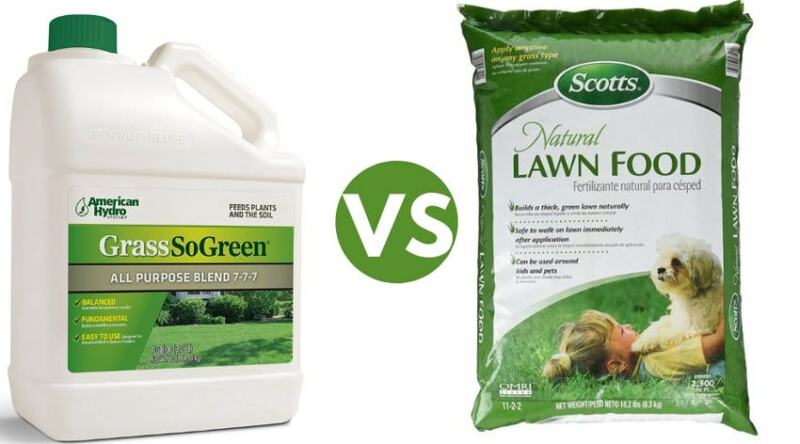 Depending upon what nutrients your lawn, or soils, are lacking will help you decide which nutrients you need most of. The numbers are always found in the same order and reflect nitrogen, phosphorus, and potassium nutrient levels. To provide an example, a 50 lb bag may have the number 10-10-10 marked upon it. To determine exactly how many pounds of the nutrient are within the bag, you simply multiple 50 by .10, which equals 5. Therefore there is 5 pounds of each nitrogen, phosphorus, and potassium within the bag which will be evenly distributed. 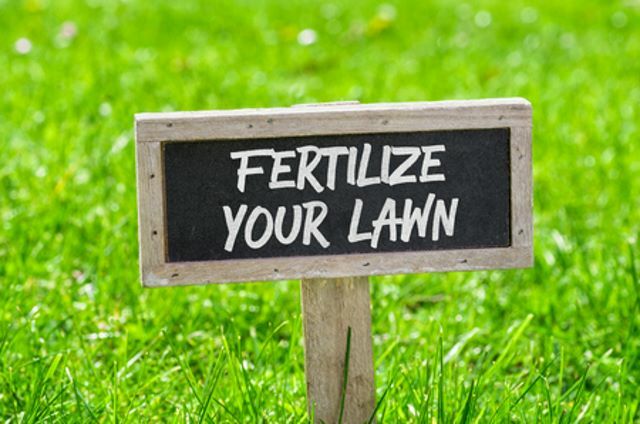 You should address fertilizing as feeding your soils, rather than feeding your plants (although liquid fertilizers CAN feed your lawn directly, which we will get into later). Healthy soils equal healthy plants. Poor soils will reflect in your lawn not looking as healthy as you would expect. Plus, adding too much of one nutrient can also become problematic. The best way to determine your soil needs is to run a quick soil test. This is especially true if you have been struggling with your lawn needs and have not been able to find much to work for you. Although optional, these are often very inexpensive, or even free, and provide a nutrient breakdown of your soil sample to give you an idea of what you are lacking and will need to provide. Many times they are offered through your local extension services or USDA office. At the very least you have the information on hand if ever needed. As mentioned there are various forms of lawn fertilizer you can apply depending on your lawn needs. Knowing the difference between them all will help you recognize what you may need when faced with multiple decisions. 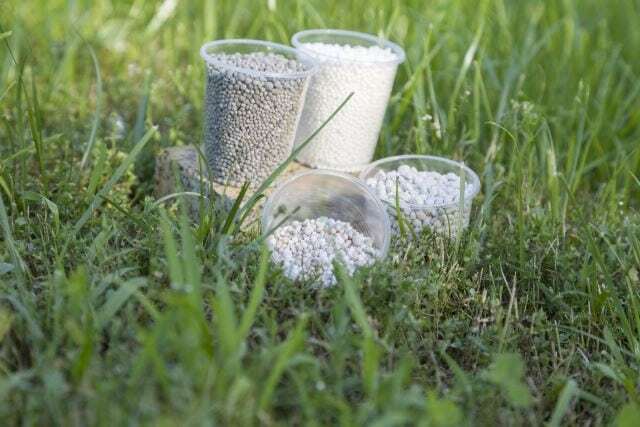 Slow release fertilizers are found within a substrate that allows for a more timed release of nutrients over the course of a few months rather than all at once upon application. Often found in more granular forms, your lawn will get an initial feeding, with continual nutrient releases throughout the course of treatment. These are often found in season applications, and are popular during the growing season. Quick release fertilizers can be found in various forms and are used for an immediate release of nutrients to your lawn. These are often used as part of an overall treatment plan to provide initial nutrients early in the growing season, and then again as a spot treatment for problematic areas. Any nutrients not initially utilized by the plants wash out of the soils quickly, therefor multiple applications may be needed to get desired results. Granular fertilizers are the most common and can be found in either slow or quick release forms. These are nutrients found in a grainy, or sand like substrate that releases nutrients when moisture is applied. Often less expensive to apply, granular forms of fertilizers are easily introduced into lawn care maintenance. Liquid fertilizers are a quick release fertilizer that both the roots, and occasionally the vegetation of the plant, can take up. 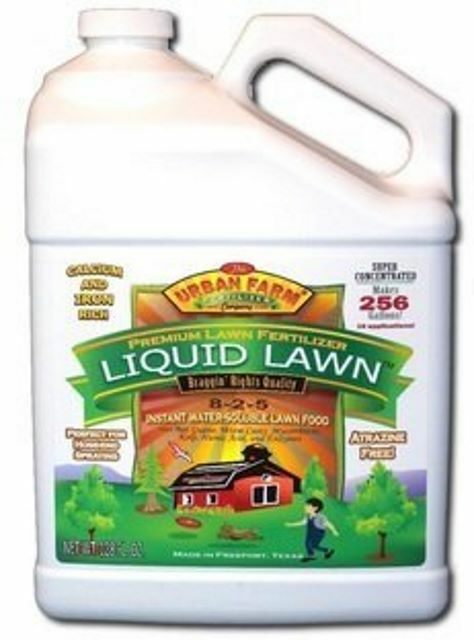 Liquid fertilizer is often used for large applications early in the growing season to help boost growth, as well as during the growing season to help with problematic areas or immediate treatment of an overall lawn. Because of the incidences of fertilizer burn and how this does coat the vegetation, timing of liquid applications is crucial. These fertilizers are made up of all organic, naturally found materials which include animal by products such as bone and blood meal, kelp, and cottonseed- to name a few. Typically found in granular form, these are also more likely to take time to see results as they release slowly and work into the soils for root uptake. Organic choices also help build up the health of your soils over time, creating a more moisture rich ground. Organic choices can also include natural applications, as explained below. Most fertilizers are synthetic in nature as the nutrients are chemically created and produced to give the results you are looking for. These may be mixed into sand or other soil type materials for spreadability, but the active ingredients being used are not naturally occurring. At one time they were fairly caustic in nature and application required an avoidance of the area for a few days, but new mixtures have made most of them more safe and easier to apply when children and pets are present. If your lawn suffers from weeds, creating a thicker, more healthy lawn will help choke out those plants that are not welcome, but sometimes you need to give it a little boost in the right direction. Applying a weed killer is generally helpful, but if you want to avoid multiple applications of chemicals to your lawn then a fertilizer with weed control may be a decent solution. 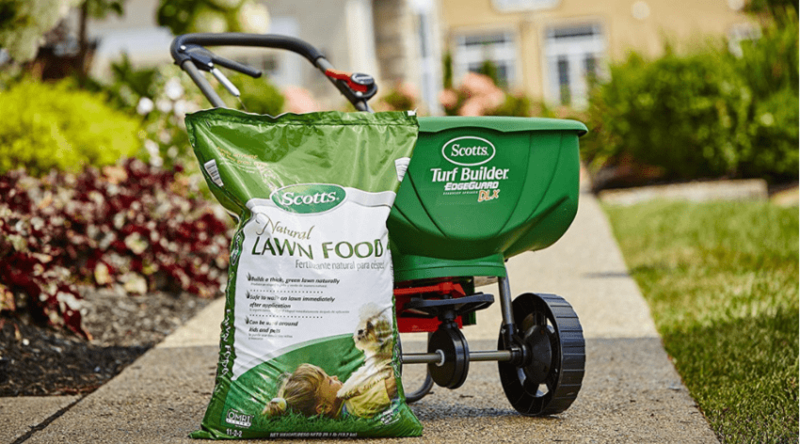 These fertilizers come in both granular and liquid form and are usually more of a quick release substrate to take immediate control of weeds and provide quick growing nutrients to the lawn. There are many insects that like to take up residence in your lawn. Although some are beneficial, those that latch onto your animals and children, feed upon your grass roots, or breed further pests that feed upon your garden plants need to be eradicated. Fertilizers that include insect controls help to both eradicate and deter many of the most common pest found within your lawn, including ticks and fleas which can cause havoc in both your yard and home once they have invaded. Since your lawn has varying needs throughout the seasons, how you fertilize is dependent upon the stages of growth your grasses are in upon application. Applying nutrients not needed by the plant results in a waste of fertilizer, time, and money, and seasonal blends help take the guess work out of nutrient balancing. Many seasonal blends are granular and are specific nutrient balances to address the specific needs of your lawn depending on its growth cycle. These types of fertilizers should be used in a program to reap the benefits. Natural applications of fertilizers are a form of organic practices that uses fertilizing materials that are not as broken down as commercial applications. These include compost materials such as egg shells, grass clippings, manure, old stick, and any other organic materials that eventually decompose and release nutrients into the soils. Working well composted materials into your soil as a ‘homemade’ choice before laying sod or seeding is a good practice, but you can also sprinkle light applications over your lawn in the spring before grass has emerged from dormancy. Leaving grass clippings behind when you cut is also a good way to add nutrients back into the soils. We are talking about safety in terms of your kids, pets like dogs and cats who roam the lawn and of course the environment. Since your lawn is truly an extension of your living area, the safety concerns surrounding the applications of certain fertilizers should be taken into consideration. If you have a company applying your fertilizers, then they most likely have some pretty strong disclaimers surrounding how they use their products for your own safety. Make sure to ask for written follow up instructions and for them to place signs on your lawn if it isn’t safe to be on for any amount of time after application to let your neighbors know as well. 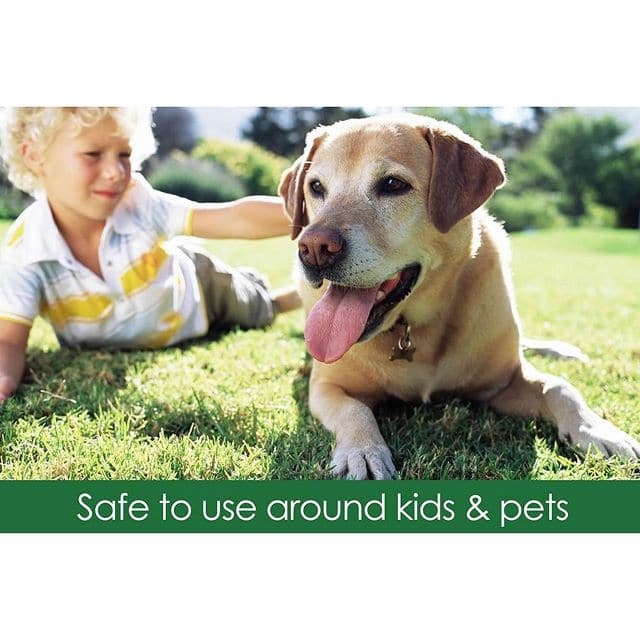 Most fertilizers found in your local garden centers are marked as pet and kid safe after application and watering. This is a big difference compared to a decade ago when most fertilizer applications requires at least 48 hours or a watering of at least a quarter inch before lawn could be safety walked upon again. Fertilizer companies do mark their bags with occupational hazards of applying and use, so be sure to look over this in advance to make sure you have the safest product available for your family. Even with safety measures in place, if you are still unsure of any chemical application, consider a more organic feed. Since these are made with natural products, they are often safe enough for accidental ingestion, in case you have a very curious pet. These may take a little longer to show results, but are very effective in the long run. Lawn fertilizer is easily applied if you are attempting to do this on your own. 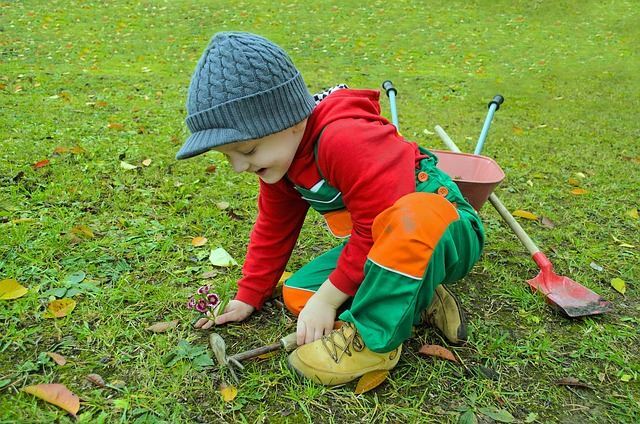 If you are not comfortable doing it, there are many companies that will put you on a fertilizing schedule, but you DIY people should have no problem taking care of this maintenance task yourself. Liquid fertilizers can either be used with a setup that helps apply it over a large area, such as upon a four-wheeler, or with the use of backpack sprayer. These can get expensive, so if you plan on using liquid concentrations, make sure you are aware of the investment for proper application. Smaller applications are available that hook into your hose and mix with the water. 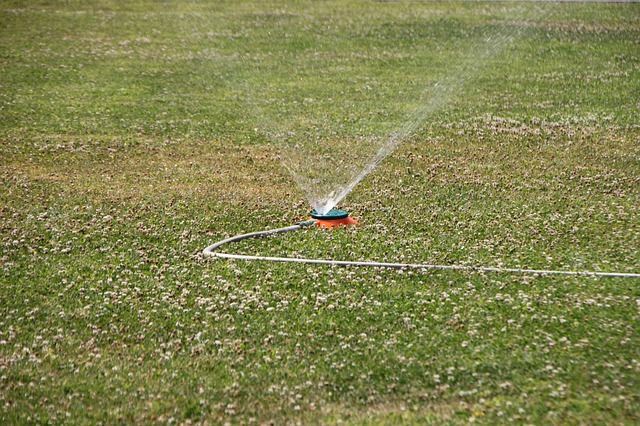 Liquid fertilizers have a higher incidence of lawn burn due to poor dilution, so it’s important to make sure your ratios to water are correct with fertilizer concentrations. Granular fertilizers are more widely available in more nutrient options for a reason. To start the are more affordable, and they are also easier to spread. You can also more easily wash it out in the case of over fertilization. Granular forms can be spread by hand, or with a push spreader that allows you to set your concentration levels. You should water your lawn lightly prior to application to help the fertilizer stay where it falls, and then you need to water well afterwards to help activate it and allow it to begin seeping into the soils where it will be accessible to the grassroots. Fertilizer burn is one of the biggest concerns when working with fertilizer. This occurs when too much of a nutrient is applied to a specific area, the fertilizer is not allowed to properly soak into the soils, or the wrong fertilizer is applied for the season or grass type. This problem looks just like it sounds, with either large areas, or smaller areas of lawn beginning to wilt and look brown and burnt within a few days after fertilizer application. One way to ensure that this doesn’t occur is to make sure you water properly after spreading fertilizer. If you happen to notice burn, then the before you write off those areas as a loss, just water heavily for at least a week to help dilute the nutrients and allow the roots to stay healthy and wet. As explained above, your fertilizer schedule will be determined by the many variables you should consider before fertilization. The types of grasses you have and the health of your lawn should indicate the type of fertilizer you want to apply, and every company has their own detailed use of their products that helps to explain when and how to apply. 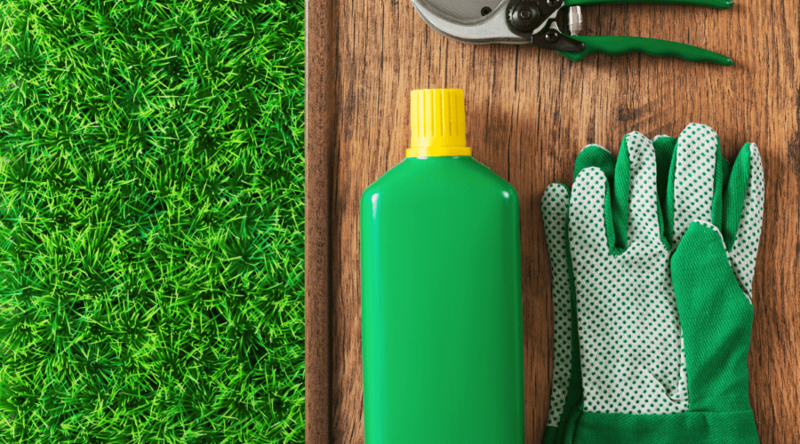 Once you have committed to a specific product, if you have liked your initial results, you should stick with that brand and follow their guidelines to a healthier lawn. Most companies have online resources to help you create a schedule that works best for you, and the product itself should come with detailed use instructions. If you use a commercial company they will work with you concerning lawn needs, fertilizer choices, cost, and a schedule to take the guesswork out of doing it yourself. 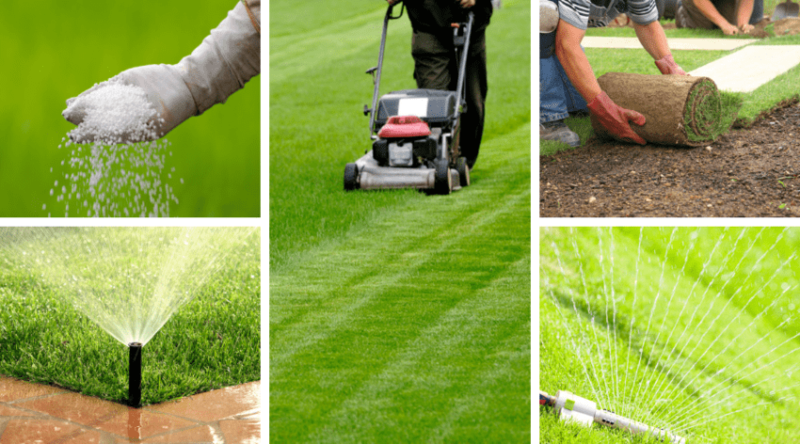 Lush, grassy green lawn enthusiasts will all have their own tips to provide you with, but there are some general things to remember when preparing to enter the world of lawn care. 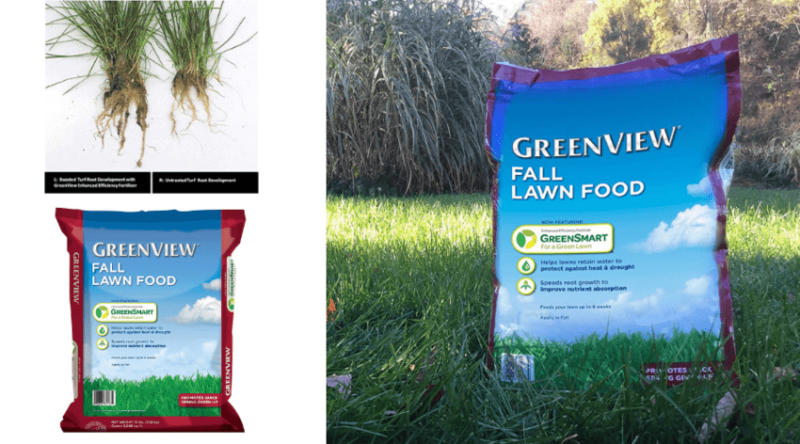 Knowing why types of grass you have will help you determine what feeds they need for healthy growth. Check your soils to determine if you have any nutrient deficiencies or concerns with nutrient building. This helps keep fertilizer on the ground but not stuck to the grass blades. It also allows liquid that are supposed to be utilized by the vegetation as well to be used correctly. Whether you use a liquid or granular application, a reliable spreader that is consistent it it’s settings is important to avoid over fertilization. Read the directions for proper spreading. 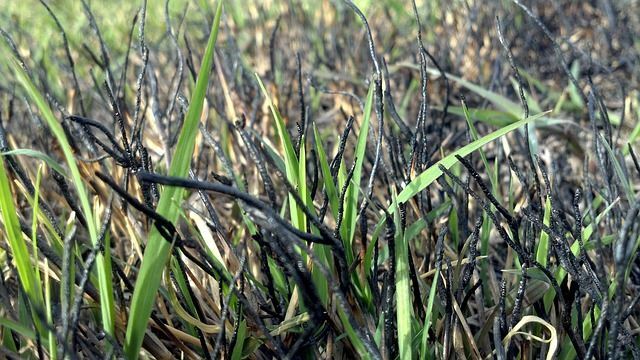 Not all nutrient concentrations spread the same, and over application may result in burning. More fertilizer does not equal faster results, it results in dead grass. Be careful concerning application concentrations. 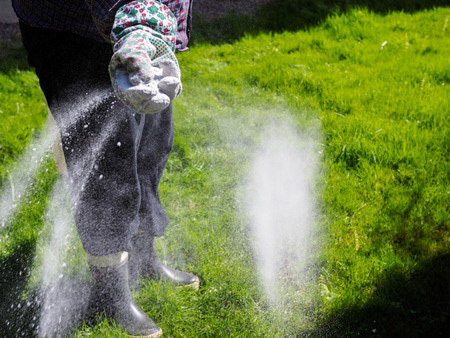 Many fertilizers need water to activate, plus you don’t want it sticking to the grass blades. If you used a liquid fertilizer for vegetative uptake be sure to avoid watering to you don’t’ wash it off the leaves. This provide additional nutrients, especially in the fall for early spring growth use as it decomposes. It also helps your soils keep a higher moisture content. Lawns require care to keep them growing and looking healthy. This almost always includes a fertilization schedule, and knowing your lawns and lawn needs is an important part of this process. However, fertilizing details can quickly get complicated if you are unsure of what type of lawn you have, its need, and exactly what you are looking at inthe fertilizer aisle at your local garden center. 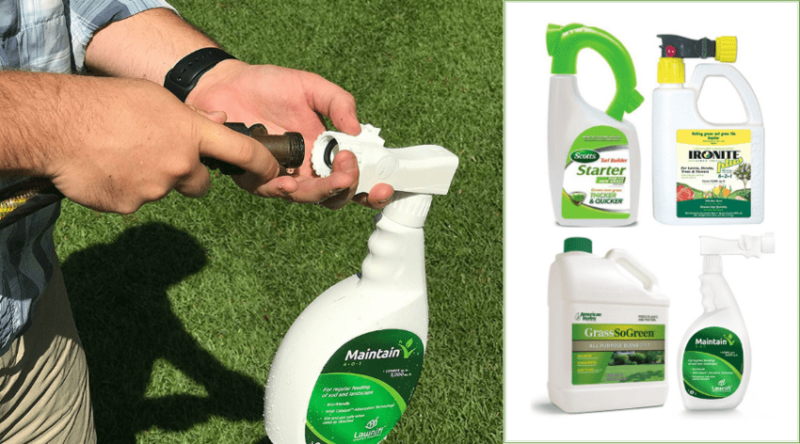 Hopefully this lawn fertilizer guide has broken down the many details surrounding this maintenance step so you can approach fertilizer use with confidence. 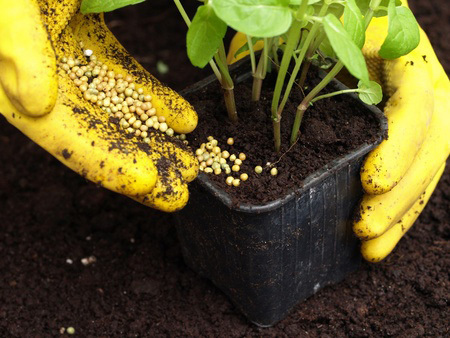 If you have any helpful fertilizer tips we would love to hear them below! Questions and comments are always welcome as well, and if you love it- please share!